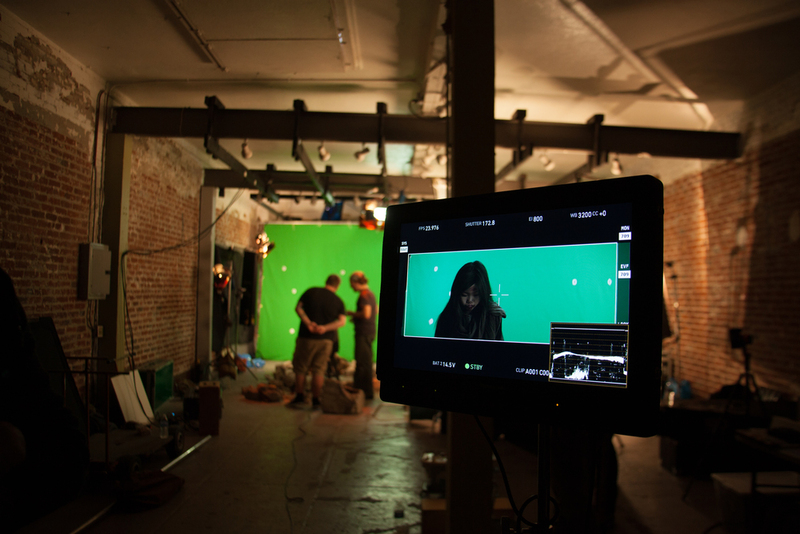 We have been making steady progress on a small VFX test. The live action has been filmed, the CG is almost complete, and all that is left is to render everything and get it into the hands of our Compositor, Fabio. To do that, we needed access to a Render Farm. A Render Farm is a large collection of processors with the sole purpose of rendering out your CG elements. With our test sitting at roughing 35 minutes a frame, it would take us roughly 240 hours to render out the test on our personal computers. Using a render farm, that task can be shared across hundreds of computers and finished in a fraction of the time. With that in mind, we are very excited to announce that we will be teaming up with RenderNow (http://rendernow.co.uk/) to help us render out our VFX test. They have been very supportive of the project, and we are excited to have the chance to work with them. Definitely check them out! We've been making amazing progress on the short. The story reel is finished and we are hard at work on a VFX test shot. I can't wait to share some of our hard work with you guys. In the meantime, let's play a game. Here is a small taste of what the first Mech looks like. If we can hit 150 followers on Twitter (https://twitter.com/refugeshortfilm), we will reveal concept art of this bad boy in all his glory. Please help us get there by spreading the word! 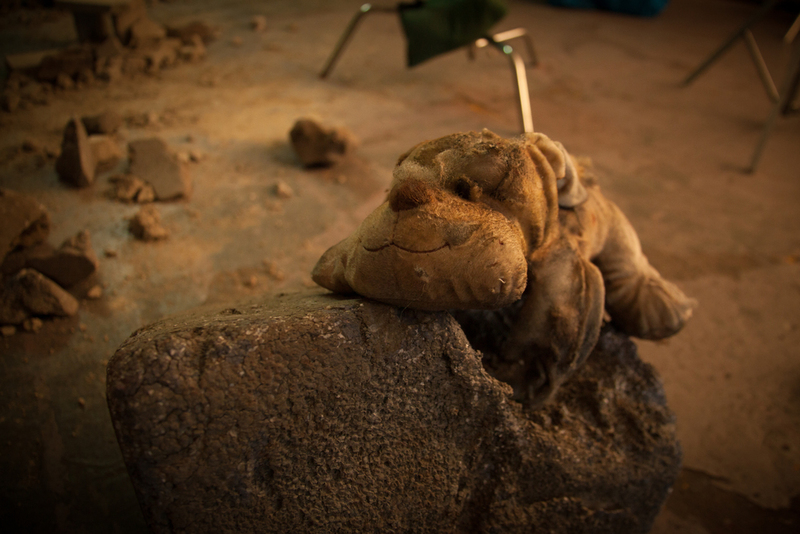 Below are photos from our day on set. 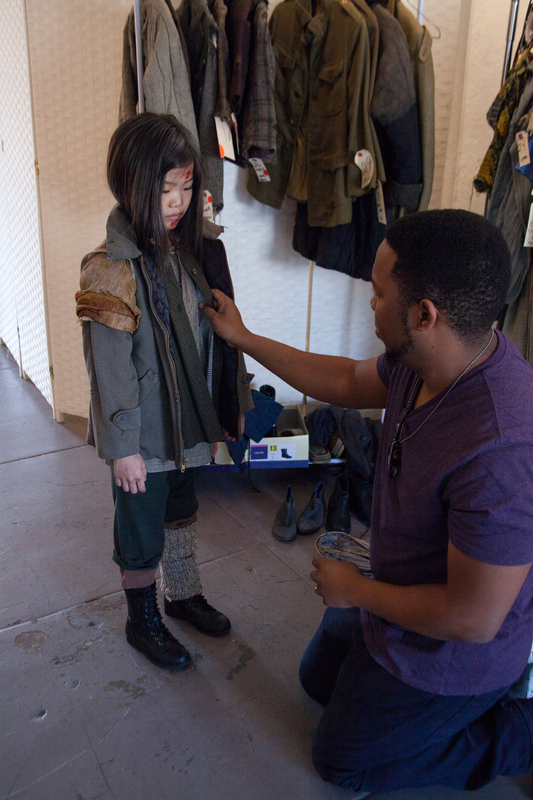 Special thanks to Director of Photography Ian Takahashi and his camera and lighting crew, Production Designer Geoff Flint for his amazing debris and stuffed animail abilities, and Costume Designer Phillip Boutte for an incredible array of wardrobe choices and a fantastic final look for our actress, Miya Cech. 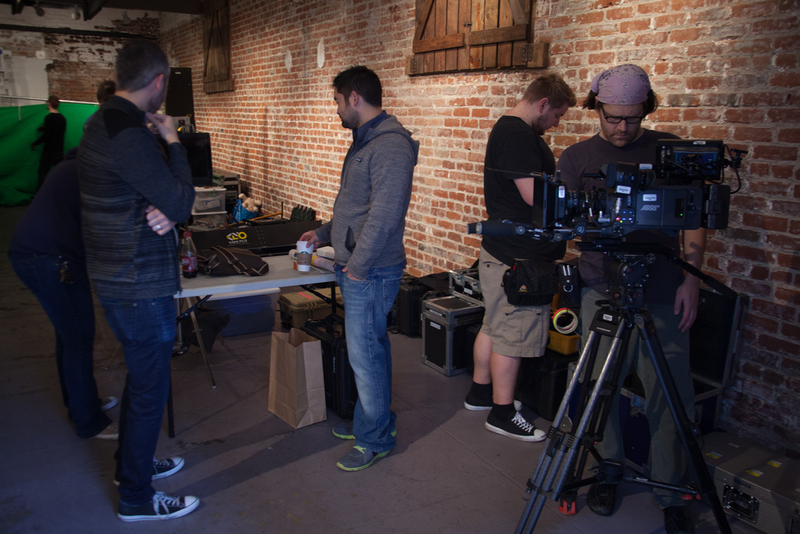 A huge thanks to Blacklist Digital for providing our camera equipment and coloring services. 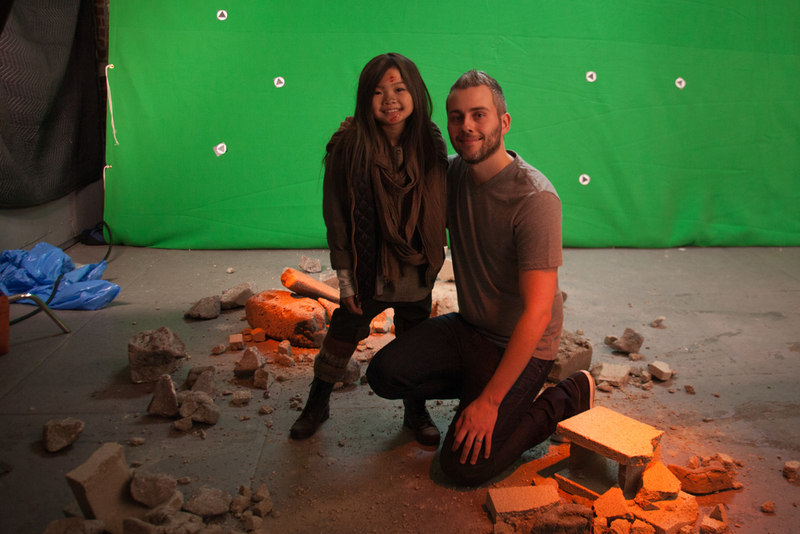 And an extra special thanks to VFX gurus Yorie and Lu for their work on set and these great photos! We will have the final, color corrected shot soon and then will start on our visual effects work. Stay tuned for updates! We at Team Refuge are very proud of everything we accomplished in 2014 and are very excited for the year ahead! Everyone on the team is hard at work creating and preparing to go into production in 2015. We've brought on an amazing and talented Animator, Pierre Perifel, who has worked on movies like Kung Fu Panda , The Illusionist, Shrek Forever After, and many more. He has begun work on a small piece of traditional animation for the short in conjunction with graphic designs from Concept Artist Keiko Murayama. We have also brought on a few incredibly talented storyboard artists to support Leif and Johane as we finish up the animatic, which is our blueprint for production and post-production on REFUGE. We are excited to have these accomplished artists join us and help us get one step closer to production. Art Director Leighton Hickman has been continuing to design the look and feel of our film and has created a new piece which we'll be sharing with you very soon!. In the meantime, our Costume Designer Phillip Boutte Jr. has completed his concept paintings for the design of our characters' costumes. Check out this beautiful artwork! On the business side, we are deep into pre-production, working with our Cinematographer Ian Takahashi, our VFX Supervisor Yorie Kumalasari and our Production Designer Geoff Flint to bid out the project and prepare for production. We are excited by all of the challenges ahead of us and are hard at work getting as ready as we can. Stay in touch with us throughout the next few months as we announce our plans for production and complete our test shot, shooting in early January! Team REFUGE has been hard at work on many fronts in pre-production, story and visual development! We decided it was time for an update and a peek into what it takes to make a story like this a reality. Director Leif Jeffers along with Story Artist Johane Matte have locked the story and the script. Johane is now working on cleaning up her storyboards so that Leif can cut them into the rough animatic that he's assembled. We've met with a fantastic Sound Designer, William McGuigan (The Kings of Summer, You're the Worst) who is working on putting together a preliminary mix of sounds for the animatic. He's excited to get a chance to be a part of a project this early on and we're really looking forward to hearing what he's come up with. Leighton Hickman, Art Director, is close to finishing his next visual development piece which we look forward to sharing with you. Department heads Geoff Flint, Production Designer, Yorie Kumalasari, VFX Supervisor and Ian Takahashi, Cinematographer, are all taking Leif's locked script and starting to think about what it will take to make it a reality - which will inform Producer Kristen Murtha as she develops a plan and a budget for production! Stay tuned to our production blog for more updates, exciting Q&As and new artwork as we continue on this journey!